If you need to install the safety gate at round surface like staircase, you may do so by using our U-Metal Stabilizer. 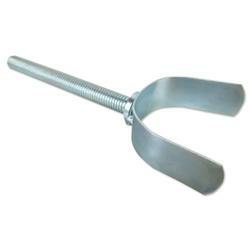 This can enhance the stability and the strength of the gate installed. You may adjust the width of the "U-Shape" top to fit the rounded surface properly.